Advanced Digestive Care (Clearwater) - Book Appointment Online! Our Practice Philosophy can be summarized in a few words. Our patients should feel welcomed and cared for from the time they walk into the office to the time they return to the primary care physician. 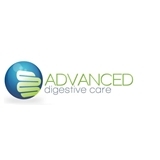 Here at Advanced Digestive Care, we don’t just see patients, we care for them. From the time a patient is referred to the office, the aim is to meet and exceed the needs of the patients. Our Motto: Specialized technology... individualized care. We are very aware that we are dealing in the most precious commodity on earth, the human life. We provide comprehensive Gastrointesinal care including Colon Cancer Screening, Reflux Disease (GERD), Swallowing Disorders, Ulcer Disease, IBS, Crohn’s Disease, Colitis, Pancreatic and Biliary Disease and ERCP. We are the only community practice providing Endoscopic Ultrasound Services in Tampa Bay For Your Convenience we NOW have full time offices at Clearwater and Countryside locations. We accept most major medical insurance plans. With addition of a new physician and staff we strive to see you within a week of the request. Urgent consultations are often provided the same or next day.